You cannot add "Elderberry Set (3 seed packets): Elderberries--European Black, American Black and Blue" to the cart because the product is out of stock. 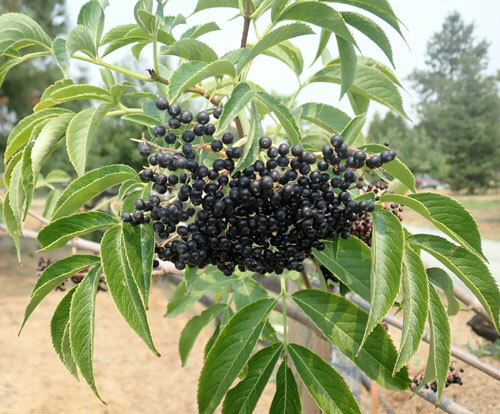 (Common Elderberry, American Elderberry) Perennial, deciduous, multistemmed woody shrub native to Eastern and Central North America, including Canada and the US, from Nova Scotia all the way to Florida, and west into Iowa and Illinois. 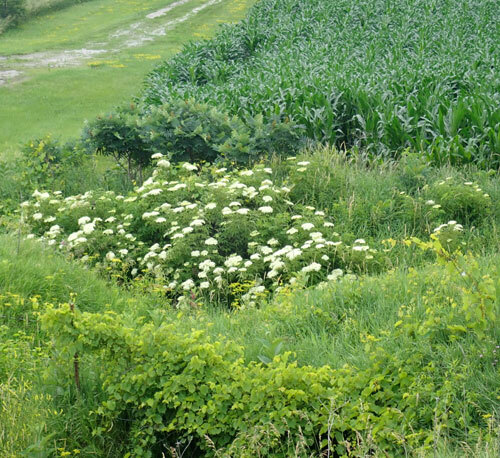 This is the wild form that may easily be seen flowering in low places, moist ground and swails in the midwest. It makes very large flowers and is quite common. 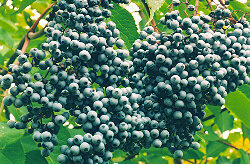 The berries are considered equal to the European black elderberry in terms of taste and activity, although the great majority of studies have been conducted on the European form, which has been shown to contain a unique antiviral protein. Traditional us of American Black Elderberry (TWM, Native American): Colds, flu, immune enhancement. Source of anthocyanins, bioflavonoids, vitamins and antioxidants. The syrup, tincture or glycerite of these berries is traditionally used (TWM) for treating the common cold and for overall increase in immunity. 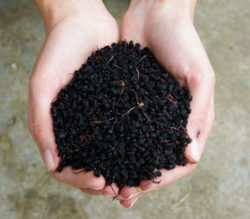 Cultivation: We are providing dried berries from the new harvest. To prepare for planting, soak berries overnight, then smash them in a tea strainer and wash them under the faucet, thereby revealing the seeds. 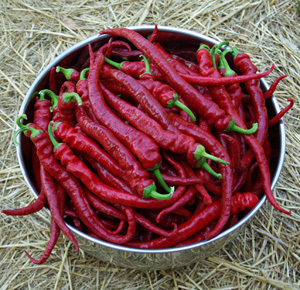 Plant the seeds in moist, shady area–it is best to plant in flats or in gallon pots, as they take a long time to come up, and control is needed. Seed best planted in the fall to early spring for germination in the midspring. Plant in cool, moist, shaded pots. 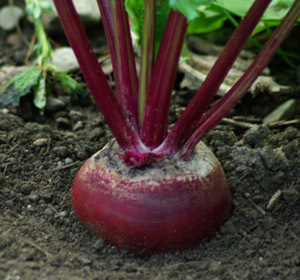 If the ground has already warmed, put the seeds in moist sand or peat in a sealed container in the fridge, not the freezer, and refrigerate for 90 days, then sow in cool, moist shade. If you endeavor to separate the seeds by flotation, do not be alarmed when the seeds float–floating elderberry seeds are viable! Outdoor conditions are preferred–do not try to grow indoors in a bright window–oscillating temperatures are required. Sow seeds in very rich and composty soil medium. 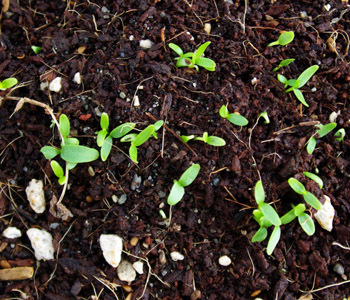 Once germinated, the seedlings grow very rapidly. 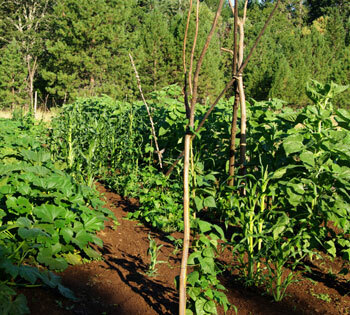 Seedlings and adult trees are Nitrogen lovers–give chicken manure or copious amounts of compost for best results. Grow out in a shaded place in pots for a year before transplanting to final location. These elderberries are fast-growing but short-lived. Once they mature enough to make berries, they may be cut down to the crown every fall, and will regrow, flower and fruit the following year. This is the way to maximize yields. Space trees at least 15 feet apart. 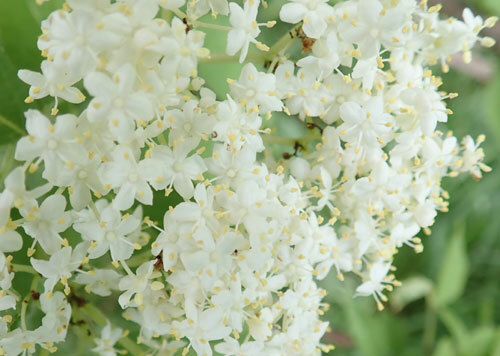 I have read that there are several varieties of American Black Elderberry (Adams, Johns, Nova, York) and that planting a variety is best for pollination. Which variety are these seeds? 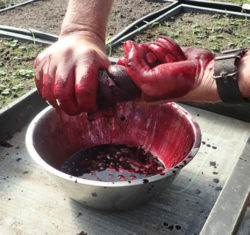 If I get the elderberry set, will the European and American help pollinate each other or will I need other varieties? Thanks! 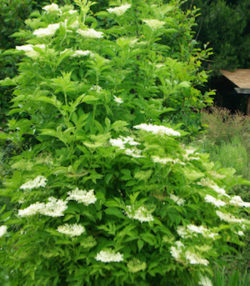 Hello there, Our American black elderberry is wild-form Sambucus canadensis from the midwest. 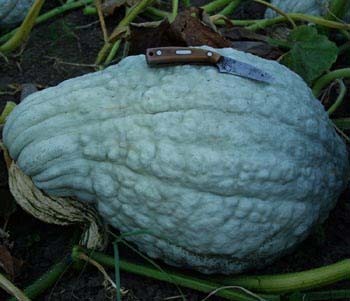 Varietals do not come true from seed. My experience is that our open-pollinated types are self-fertile.